Miky is the only bike guide in Peru to have qualified under the IMBA scheme. He had to go to the USA to do it. While he has always loved biking, he actually spent many years as a professional chef before turning his passion for biking into a career. He now designs our menus and trains our cooks as well as looking after and maintaining our fleet of bikes. You may even get him as a guide on your biking trip, where he is known for his professionalism and love of all things bike related. 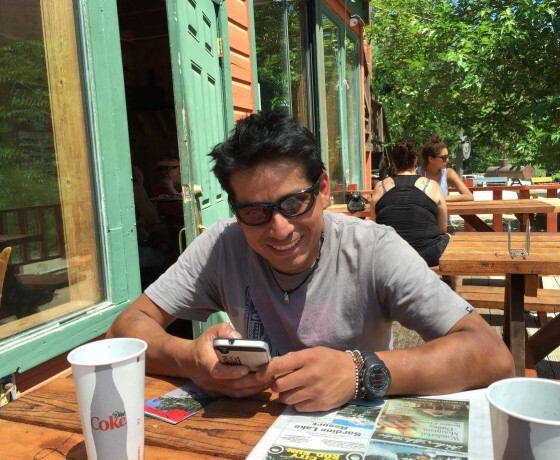 He has biked all over the United States as well as Peru, has organised the world´s highest Enduro bike race in Patacancha above the Sacred Valley and also set up a charity to maintain bikes for the kids that live in the area where the enduro race passes each year.